A new website was recently launched to help moms protect their children in the event of a car accident in Atlanta and elsewhere. The new website, "Car Seat Safety for Kids," is now accessible, thanks to Center for Injury Research and Prevention (CIRP) as well as The Children's Hospital of Philadelphia. This new website is replacing dated information from the "Keeping Kids Safe During Crashes" website. 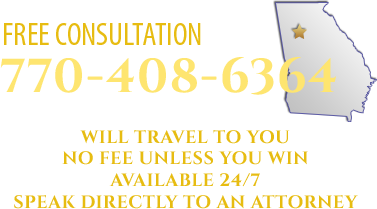 The new site provides moms with a plethora or information regarding child passenger safety (CPS). It's estimated that more than 70 percent of children in the U.S. are improperly buckled in while riding in a motor vehicle. The website provides brand new videos for CPS educators, parents and guardians to help keep consumers to stay up-to-date with the latest car seat recommendations from the American Academy of Pediatrics (AAP). "A generous grant from Kohl's allowed us to re-film all of the videos, as well as update the voiceover, images and technology," said Gina Duchossois, Trauma Prevention Coordinator. Our Atlanta car accident attorneys understand that the AAP released new recommendations for child car seats in 2011. Unfortunately, many parents are not familiar with these new recommendations, which have been proven to be the best tool to prevent injury or death to your child in the event of a motor vehicle accident. Parents are urged to review the information on this website, as well as the information regarding the new car seat recommendations. In addition to reviewing the information, parents are urged to visit a child car seat inspection location in Georgia to make sure that car seats are installed properly into the vehicle. As we've said before, more than 70 percent of children in the U.S. are improperly buckled in, studies show. -Children under the age of 1: These small children should be riding in a rear-facing car seat. Typically, these types of seats have higher weight and height limits so that children can be kept in these seats longer. -Children from 1- to 3-years-old: These young passengers are to be kept in a rear-facing car seat for as long as possible. Once they've outgrown the size and weight limits of the rear-facing seat, it's time to move them to a forward-facing car seat. The new seat should have a harness. -Children from 4- to 7-years-old: These young riders should be kept in a forward-facing car seat for as long as possible. As your passengers graduate to this age group, once they meet the weight and height limit for the forward-facing child's seat, it's time to move your passenger to a booster seat. It's important to keep the booster seat in the back, away from air bags. -Children from 8- to 12-years-old: As your passenger grows, it's important to keep them protected. 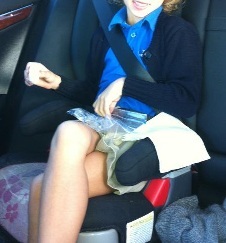 When you child outgrows a booster seat, it's time for them to move to an adult seat and seat belt. Make sure the belts fit properly and that the lap part of the seat belt lies across the upper thigh while the upper portion lies firmly against the chest (away from the neck and face). If you or your child has been involved in a car accident in Georgia, contact the Atlanta Personal Injury Attorneys at The Law Office of Casey W. Stevens. Call 877-217-7230 for a free case evaluation. Serving clients in Alpharetta, Atlanta, Dawsonville, Woodstock, and all of North Georgia.